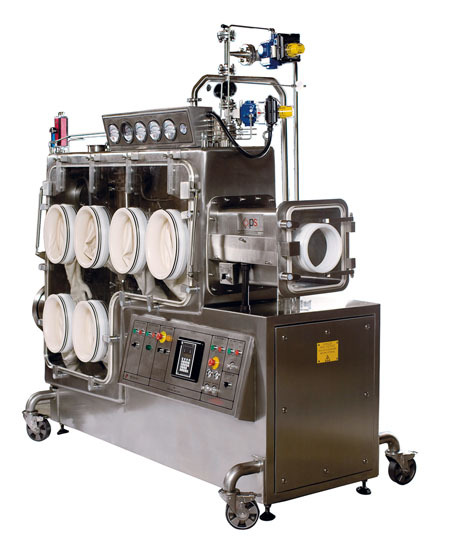 Powder Systems Limited (PSL), an international award-winning manufacturer of filtration, drying and high containment isolators for the pharmaceutical and biopharmaceutical industries, recently delivered several aseptic microsphere formulation process facilities in Asia and USA. The MicroSphere Refiner range was awarded the best mechanical process innovation at the ACHEMA 2015 Awards. This revolutionary technology allows for the sterile filtration, classification, drying and harvesting of polymeric microspheres used as drug delivery devices such as PLA, PLGA or PMMA capsules. These biodegradable particles work as miniature time release capsules for parenteral drugs, to treat various conditions from cancer to diabetes and mental illness. 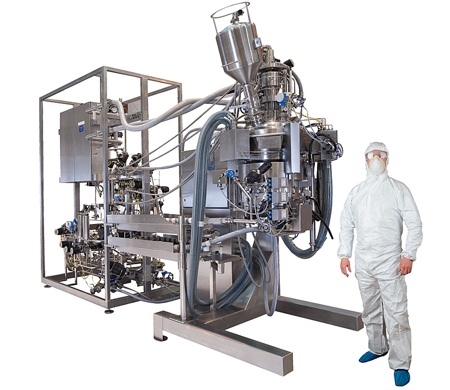 Microsphere production is experiencing a fast growing demand due to its revolutionary characteristics and applications including also vaccines and hormones. 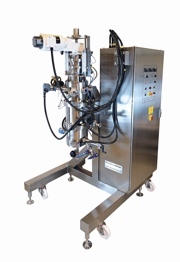 To support biopharmaceutical and pharmaceutical drug manufacturers, PSL developed a unique technology to efficiently formulate microsphere drugs in a sterile and controlled manner. 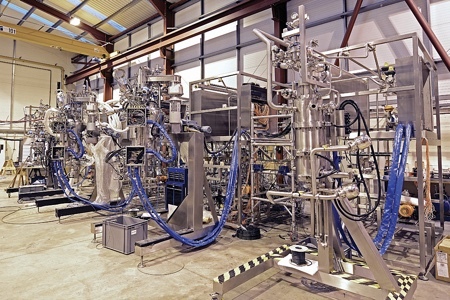 The MicroSphere Refiner range allows process development and scale-up from R&D to commercial production. This innovative technology overcomes challenges faced with typical sieving and nitrogen drying operations such as mesh blocking, poor particle size distribution, low yield and sterility issues. PSL’s technology has been developed and refined over 10 years and is now being adopted by blue chip pharma groups around the world. After successfully installing production lines in the US and Europe, PSL has recently completed three production lines for the Asia market. 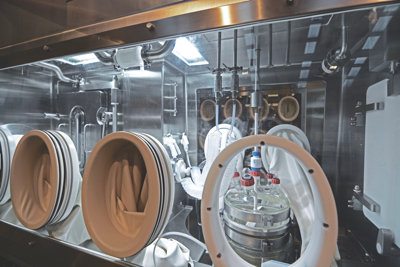 These installations consist of a MicroSphere Scalping Filter followed by a MicroSphere Refiner suitable for an aseptic production of about 10L of final product. PSL completed the entire process line with process skids, modular process system contained with individual frame for each process equipment. 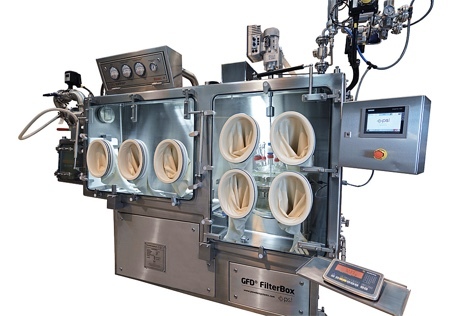 The equipment is using Steam-In-Place sterilisation and a unique discharge method to maintain the sterility envelope throughout the process and during harvesting of the dried microspheres. The three production lines are all provided with full automation of the two vessels and respective process skids through dedicated software and HMI/PLC systems. Two lines are being installed in South Korea and the third one in India. They will all be operational in 2016 and will contribute to the production and commercialisation of controlled drug release medication in a targeted manner that will improve the wellbeing of millions of patients. 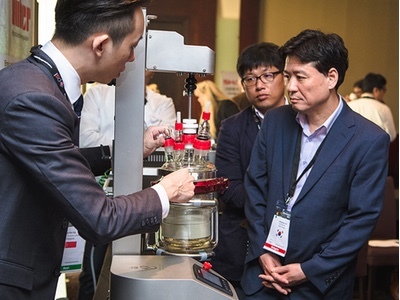 PSL activities in Asia with the MicroSphere Refiner range are expanding with new projects in South Korea for bigger scale production of microspheres and growing interest from the Indian and Chinese markets for GMP problem-free manufacturing of such drug devices. PSL will be exhibiting at the upcoming 2016 COPHEX exhibition in Korea from 26-29 April 2016 on its partner stand Nara Machinery Korea (3C511) and in China during the CIPM exposition in Chongqing on Austar booth C32 in Hall V2. Later this year Pierre Landais, PSL APAC (Asia-Pacific) Tendering Manager, will be presenting on Process Development & Sterile Manufacturing of Polymeric Microsphere Drug Delivery Devices on the Thursday 25 August at the ISPE Singapore Annual Conference 2016. 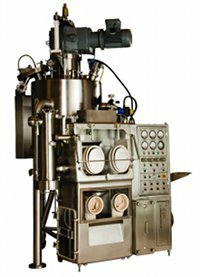 In 2015, PSL provided a MicroSphere Refiner to a US biopharmaceutical company as part of its platform to develop novel extended release therapies. This smaller unit has a capacity of about 5L of microsphere product used for the development and production of polymeric time release drugs. With more projects in 2016 for microsphere development in the US, PSL will launch a Centre of Process Excellence to support the R&D and commercialisation of new drug delivery devices. PSL’s team, including Senior Process Development Engineer Craig Patrizio, will be at the Interphex trade show from 26-28 April 2016, booth 2232. Michelle Frisch, Senior Manager, Global Technical Systems, will present 'Process Requirements Drive Innovation; microsphere classification filtration and drying - a case study of how innovative design solves difficult process requirements' on Wednesday 27 April at 2.15pm, Technical Conference Stage, 1577, Meeting Room 5.